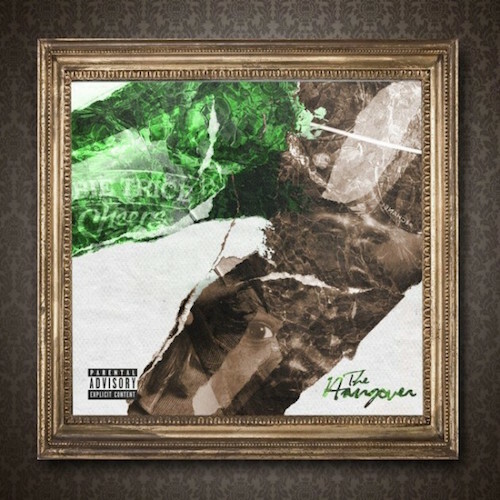 RapReviews.com Feature for October 13, 2015 - Obie Trice's "The Hangover"
A lot of people have been sleeping on Obie Trice ever since he left Shady Records. Even his last album "Bottoms Up" had Eminem on it, and people were still unaware Obie was still making music. Shame on them, as that was a decent little album, though probably his worst - at least until "The Hangover" was released in August. This isn't a bad album so to speak, it's just wholly unremarkable and a large step backwards when you consider the quality of his first three LPs. Known mostly for "Cheers" and "Second Round's On Me", my personal favourite Obie album is the Moss-produced "Special Reserve", a collection of pre-Eminem verses paired with some head-slamming boom bap. When compared to those three 'good' albums, "The Hangover" feels a bit like listening to a whole album of songs left on the cutting room floor. The fact that there's an interlude called "Obie's Tidal", where the listener is treated to a radio flicking between stations and catching all of Obie Trice's hit singles, only helps highlight how far the rapper with a real name and no gimmicks has fallen. "So High" and "Good Girls" sound desperate in their starkness in comparison to the rest of the album. Similarly, the Young Buck-assisted "Dealer" sounds like a Buck track, not an Obie one. While much of the record disappoints, "P8tience" is a nice duet with the rapper P8tience, which keeps things simple as both emcees trade verses aggressively, on an iRock instrumental that actually sounds Detroit-ish. Speaking of which, "Detroit State of Mind" inevitably fails to stack up against Elzhi's song of the same name, but mostly because the production isn't up to par. The successful collaborations are the formulaic, industry favourites - male rapper and female vocalist. "So Long" features Gwenation and while it suffers from some misognystic lyrics and Obie resorting to the Drake technique of wordplay (ending bars with a pause and one word), it still feels like the correct style for Obie. The Brit Estelle laces "I'm Home" with a fine hook that is eerily close to Debbie Harry and ends up stealing the show, ending the album on a high note. Given how strong the Detroit scene is at the moment, it's a shame that Obie Trice is stuck in a creative flux. "The Hangover" is the perfect title, sounding like a hazy, confused reflection on past successes that never reaches them heights. The good tracks here are in reality, plain average. As hangovers are usually the end of the drinking cycle, it'll be interesting to see where Obie takes his next project as his best work has been with producers on the top of their game. It would be great to hear him linking up with an Apollo Brown or DJ Soko next time he hits the bar - at the least it would have me drinking for the right reasons.